Dr. Steven W. Jang received his doctorate degree of optometry from Nova Southeastern University College of Optometry in Fort Lauderdale, Florida in 1999 after receiving his BA degree of Biology from the State University of New York. He completed externships in geriatric eye care services at the world-renowned Bascom Palmer Eye Institute in Miami, Florida. Other internships were served in primary eye care, and contact lens services. Dr. Steven W. Jang was trained to manage and treat many ocular diseases at Nova Southeastern University College of Optometry Clinic as well as private eye doctors' offices in Florida. He manages many eye diseases including cataract, glaucoma, diabetic retinopathy, age related macular degeneration, red eyes, and painful eyes for many years. 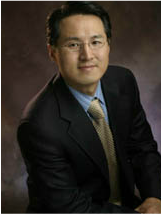 Dr. Jang is an active member of the American Optometric Association, and Optometric Physicians of Washington.